Long live the Donetsk People’s Republic! What will ‘Defence Minister’ Strelkov do, now that Slovyansk has been lost? And can he rely on Vladimir Putin? The loss of Slovyansk to Ukrainian government forces has placed the so-called People’s Republics of Donetsk (DNR) and Luhansk (LNR) in a quandary. Can the war be continued from the main regional centres, and, if so, for how long? Is there a realistic hope of substantial military aid from Russia? Has the balance of power changed irrevocably for the separatist forces? And how should the Ukrainian leaders proceed? 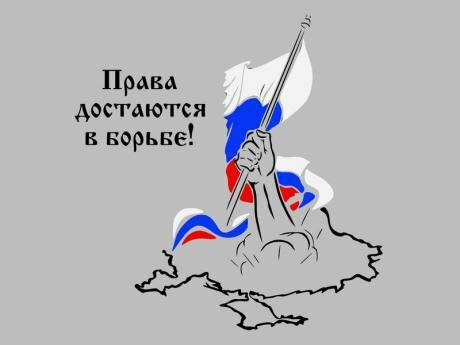 Though the separatist forces, until recently, were far from united, perhaps the clearest enunciation of the priorities of the DNR – the most prominent of the two republics – was provided on June 12 by the press centre of the ‘South-East’ movement, coordinated by Oleg Tsarev. It listed several main objectives, the first of which was the creation of a union state with Russia, which would provide a common security system, contractual relations with Ukraine, and a state with full language rights for all citizens. The action plan envisaged compensation payments by the end of August for families and victims who had suffered ‘from the aggression of the Kiev junta,’ and material assistance for those with destroyed property. It also ‘guaranteed’ the prompt payment of wages, pensions, and social benefits, and proposed to cancel a 200% rise in tariffs for gas, electricity, and public utilities, announced by the government in Kyiv. Wages were to rise in factories owned by oligarchs (most notably those of Rinat Akhmetov), and there would be a transitional period during which Ukrainian institutions would fall under DNR control. The acquisition of Russian citizenship was also to have been permitted. These policies fall under the heading of federalism as defined by the Russian leadership of Vladimir Putin. Notably they do not include foreign or security policy, in which respect they are not dissimilar to the sort of vision for the Donbas that Mikhail Gorbachev had devised for the former Soviet Union through his abortive Union agreement in 1991. Like Gorbachev’s Union Agreement, they appear to be unworkable. According to a pro-Russian source, the leaders of the DNR, based in Donetsk, in the face of the sustained attacks from the Ukrainian army, were inclined to reach a compromise that would have signalled the end of the republic. In the view of this same author, the negotiations that took place between the aforementioned Rinat Akhmetov, the renegade leader of the Vostok battalion Aleksandr Khodakovsky, the pro-Putin Ukrainian oligarch Viktor Medvedchuk, and Russian officials such as Vladislav Surkov, the former First Deputy Chairman of the Presidential Administration in Moscow, would have led to the sacrificing of Igor Strelkov, the ‘Defence Minister’ of the DNR; and removed from regional decision-making Aleksey Mozgovoy (leader of the ‘People’s militia’ in Luhansk), and also Pavel Gubarev (‘People’s Governor’ of the DNR). The conciliatory position reflects in part the ‘substantial influence’ of Akhmetov over the Donetsk-based leadership of the DNR. Strelkov, however, scuttled all these plans, when he arrived in Donetsk over the past weekend, declaring that he wished to put an end to the contradictions – what the above mentioned pro-Russian author called ‘grave digging’ because of its defeatist attitude – and unite all forces under a single command. Prior to that, many assumed that Strelkov would die a hero’s death in the defence of Slovyansk. Instead, according to one source, he departed ‘like Kutuzov,’ a reference to the calculated retreat of the Russian general in the face of Napoleon’s Grande Armée in the war of 1812. His arrival in Donetsk, and assumption of command appears akin to a coup d'état, replacing the hitherto uncoordinated leadership of the DNR. Kutuzov with his Generals on Poklonnaya Hill outside Moscow, Aleksei Kivshenko, 1893. Photo CC In an interview with Lifenews.ru, Strelkov stated that he left Slovyansk to protect the lives of peaceful residents and his militia. 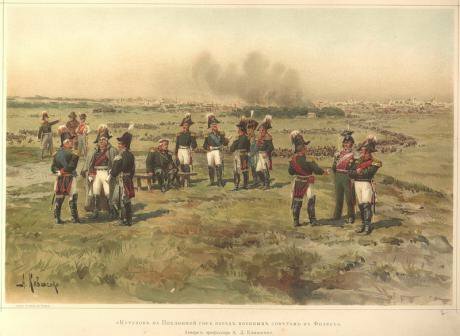 In order to cover his retreat, a diversionary attack was organised, but the group commander bungled it, and most of the troops involved perished. Nonetheless, it allowed Strelkov to depart with 90% of his troops and most of his weapons intact. On July 7, he established the Central Military Council, which included all the main field commanders, with himself in the key position as commander of the Donetsk garrison. Shortly afterward, Strelkov appeared in Luhansk for a meeting with Valery Bolotov, the leader of the LNR, to coordinate activities. The loss of Slovyansk to the DNR forces can hardly be underestimated. It was, as DNR supporters acknowledge, the key point of the breakaway republic’s defensive structure, with over 60 heavy guns in place. By July 7, however, the city had no electricity or water supply, and the ATO (Anti-Terrorist Operation) had disabled the nearby power station at Mykolaivka, with a shell. The retreat appears to have been much less orderly than described. This raises the question of where the DNR goes from here, and how it will be affected by the change of leadership. 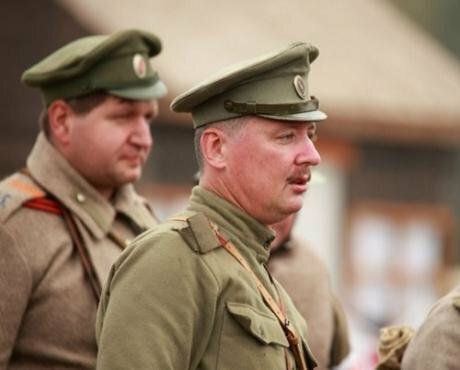 Strelkov’s arrival will likely escalate the conflict. He has never made any secret of his commitment to the war, which he perceives as one for the ‘liberation’ of Ukraine, not merely the southeast. Under his command, whatever his difficulties, compromise with Kyiv is highly unlikely. That leaves a major decision to be made by Ukrainian President Petro Poroshenko, namely, whether to continue the attack, thereby raising civilian casualties even further, in order to bring about a united Ukraine. Moreover, what would be Putin’s response to the destruction and ‘occupation’ – from the Russian perspective – of the DNR and LNR? Yet the division of forces in the southeast is looking increasingly complex, and many players remain in place, not least Akhmetov, who are looking for a way out. The size of the ‘Novorossiya’ faction, which favours union with Russia, is dwindling. Other than Strelkov’s small band of forces, virtually no one now believes that Ukraine will disintegrate or that the concept of Novorossiya is viable. On the other hand, it is clear that for large swathes of the Donbas population, full control by the present Ukrainian administration is as undesirable as a Russian invasion and, Ukrainian media reports aside, the general sentiment after the arrival of the Kyiv army is likely to have been one of relief at the end to fighting rather than triumphalism and liberation. In other words, there is significant scope for compromise, though any agreement would need to distinguish between regional autonomy and Putin-style federalism or ‘power sharing.’ An autonomous or semi-autonomous Donbas within Ukraine is a logical alternative and, moreover, it might appeal to the population at large, even to some of the pro-separatist elements that voted in the contentious referenda last May. But Ukraine could not tolerate a new Transnistria or Abkhazia in its eastern territories, which would continue to destabilize the country. The removal of Strelkov and his forces is, therefore, the key prerequisite to any progress; and they are increasingly isolated. 'Rights are earned in battle'. The Russian tricolour flies over the Donbas. Photo: vk.com/donbass_res Some degree of autonomy, then, might be the way forward. In Western Ukraine during the Euromaidan protests, regional governments were functioning as virtually autonomous structures. A federal system has worked successfully in countries such as Germany and Canada – in the latter case with the retention of priority for the French language in Quebec. In Ukraine, it is imperative that the Donbas region be adequately represented in the Cabinet and in parliament generally, when Ukrainians go to the polls in the fall; and full language rights must be retained for Russian speakers. This proposal makes one assumption, namely that Vladimir Putin is also looking for an exit plan, having apparently run out of options, and fallen foul of more militant hawks in Moscow. Already, as we have seen above, the Russian President was prepared to sacrifice Strelkov, indicating limits to the expansion of ‘the Russian world.’ This scenario, of course, offers a very different interpretation of where Putin stands, from that of Ian Bremmer. But, as things stand, it does seem that the Russian President might have lost this particular chess game.